A great lime, pear, white peach, and guava on the nose and the palate. The palate has this amazing leeys quality that gives the great body and clean long finish that you crave. 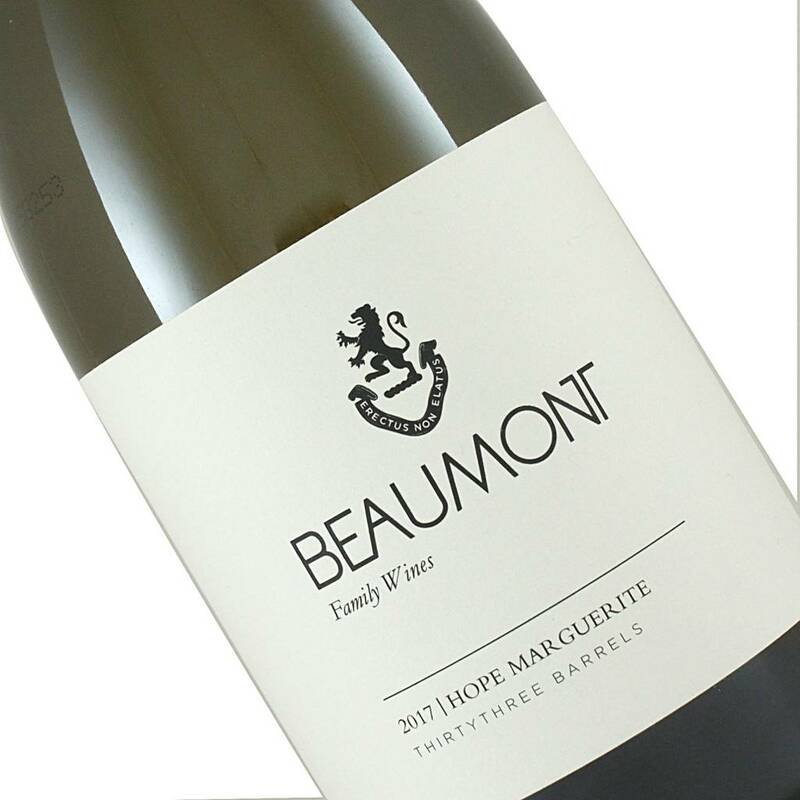 The wine is named after Hope Marguerite Beaumont, and is a reflection of the purity of what a Chenin Blanc should be. The Fruit is selected from their oldest vineyards that were planted in 1974. They use 400L French oak barrels, 22% new wood, and only use natural yeast and to keep as much freshness in the wine they never put it through malolactic fermentation. With the major drought that South Africa has been suffering through 2017 was an exceptionally dry vintage, which produced healthy but small berries. Once in the barrels they stayed on their gross lees for 10 months, which produced this, amazing clean, fresh, strong, fruit forward amazing wine. It is absolutely everything I want from a Chenin Blanc with a great lime, pear, white peach, and guava on the nose and the palate. The palate has this amazing leeys quality that gives the great body and clean long finish that you crave.